Seo Hyun-jin (Romantic Doctor Teacher Kim) in another rom-com?! Man, if they manage it, I’m definitely tuning in. The writer behind Doctors and High Society, Ha Myung-hee, is preparing a drama adaptation to her novel Nice Soup Does Not Answer the Phone titled Temperature of Love, and an offer is out to Seo Hyun-jin to headline the show. Temperature of Love is described as a romantic comedy for the Internet generation: Our heroine, Jae-in, is an aspiring drama screenwriter who one day strikes up an online rapport with a stranger with the handle Nice Soup, who dreams of becoming a French cuisine chef someday. Their relationship, and the stories of the people around them, will be the main focus of the show, which sounds breezy and slice-of-life. I can imagine the tone to be similar to this writer’s last drama, Doctors, except this time there will less doctoring for our main characters to do, thankfully. I enjoyed that show, and it was an easy watch, but I was constantly wondering how these surgeons had all this time to run around and romance each other. Seo Hyun-jin isn’t confirmed yet, but I’m just really happy to see her even consider a drama role, because she’s one of those actresses with such a lovely, natural screen presence. I love her in romantic comedy and I think she’d do a great job as a writer hopeful who bonds with someone she’s never met in person. It sounds like whoever will play the heroine will have to carry the emotional center of the show, and I have no doubt Seo Hyun-jin could do it beautifully. Temperature of Love is planning to air sometime later this year, and there’s a good chance SBS will schedule this show in after My Sassy Girl and Falsify end their runs in its Monday-Tuesday slot. I LOVED SHJ in Romantic Doctor Teacher Kim so much. If she's in another rom-com, I'm definitely tuning in!! I'm reeally curious to see who her leading man will be if she takes the part! Can we hope for another SHJxYYS pairing ? This sounds like a chick flick and I already like it with Seo Hyun Jin attached to the show, please say yes! The French chef thing reminds me of one of Joo Ji Hoon's movie and he would be a great male lead. Of course Yoo Yeon Seok would be great too. She is a very good actress and i love her voice,i hope she takes it and it hits high ratings because having 3 back to back hits will elevate her career ridiculously then she will get to headline more dramas then we get more of her..which is just awesome. Yang Se-Jong? Rich guy's son from Teacher Kim. He is doing good in "Duel." That's a great role for a growing actor. I like him in "Duel". He's doing good there. I hope she won't confirm before there's confirmation who is the male lead. I heard it could be a noona romance. Now this made me worry. Noona romance is acceptable as long as it will not be like Ha Ji Won's case. Oh, I loved her in Another Oh Hae-young in the episodes before her character devolved into an annoying mess who blamed everyone else for her problems. She's such a funny actress and naturally cute and adorable to watch. This premise also sounds really cute so I will definitely check out a few episodes. In spite of this writer doing my OTP dirty in High Society, I really enjoyed watching that show and I can't remember why I dropped Doctors but I think this one might work. I'm looking forward to who the male lead would be. I hope Seo Hyun-jin confirms. I didn't watch Oh Hae-young Again and I've only ever seen her in the little bit of Romantic Doctor that I did watch, so I don't have the same love and affection for Seo Hyun-jin as most Beanies. Although I did liked her in the short amount of time I saw her in that show, so I'm sure she's more than capable of bringing a lot to the table. Hopefully I'll grow to appreciate and love this actress more. Please watch Romantic Doctor, you won't regret it. The cast is amazing! So many great actors, and the story is compelling! Aw, okay, I'll try to pick it back up sometime. I actually really enjoyed the first couple of eps, so idk where it lost me, but I'll give it another shot. I started RDTK around eps 2 because i dont like eps 1 and RDTK is amazing from there you better to watch it.especially for the character and warm feeling from the hospital friendship is awe me..and the acting from all actor is daebak.i cried,laugh,hate,love them at the same time because all of them is endearing :3..
Well, you should watch Oh Hae-young Again, she wasn't afraid to destroy her images for the 'Oh Haeyoung' role. As an actress, she is a treasure. She's one of my favorite actress. She nailed it in OHYA,a must watch! really hope ha mung hye can create another can we get married. I loved Seo Hyun Jin in Romantic Doctor Teacher Kim and Another Oh Hae Young. I look forward to seeing her in a different series whether it is a medical show or rom com. She is an aspiring actress with talent and I hope she has another great show. Didn't watch the writer's previous dramas, but this new one sounds pretty interesting. I like the slice-of-life feel, but I don't want a draggy story. Anyway, I adore Seo Hyun Jin!!! <3 One of my faves. I really hope the male lead is on the same level though. I really grew to love her in Oh Hae Young, so it'd be lovely to see her back in the small screen again after Romantic Doctor. Slightly off topic, I loved SHJ in romantic doctor teacher kim and watched another oh hae young till ep 10, or maybe halfway to ep 10. My question is to the ones that watched it, that around the time I stopped watching it Oh hae young was seriously losing it on the pretty hae young amidst her co-workers and during the work party. She yelled at her multiple times. And I sympathized with oh hae young alot through out the drama, but I thought the way she was creating a scene over and over again and insulting pretty oh hae young so much, it was overboard. So, I dropped the drama because I stopped connecting with oh hae young at that point. So people who watched it, does it get better from there? Is there a point in picking it back up again and does oh hae young stop behaving so irrationally at some point? Hi, I'm a huge fan of OHY again (mostly bcs of SHJ). Well plot wise it was much more exciting in the first half compared to the latter, but I enjoyed the latter half for the way tht haeyoung and dokyung solves their problem honestly and together. You might see something worse than her karaoke madness, but personally I enjoy those moments because tbh when will you ever get a real female lead that acts like almost every real female in real life? Very well said. After all, she played the role according to the script and we could relate to her role character. She did it beautifully and we grew to love her more in the end. That's why they casted someone like Seo Hyun Jin for Just Oh Hae Young because she can bring the magic to the character. In this type of character, it is really necessary to cast someone talented. I also really enjoyed the first half. I think by the second half I was getting a bit tired of the whole Dokyung back and forth regarding his dream/death/fate..let's go for it, no, yes....In the second half I much preferred Sookyung and Jisang's story line! Having said that, it was overall a very good show and I loved the cast! Eric and Seo Hyun Jin were great and had such good chemistry! You should watch the end to get the whole picture of the drama! It will be worth it! I started fast forwarding her scenes too when she started blaming Pretty Oh Hae-young for the most ridiculous things, I mean how is it her fault that no one helped her when she fell down the stairs?! In the second half of the show, I sympathized more with Pretty Oh Hae-young because I understood her and she really wasn't the bad and evil person Just Oh Hae-young tried to make her into. I enjoyed the first half though. Just skip to the episode where she and Do-hyun get back together and watch from there till the end. I don't remember exactly which episode number is it but there are few episodes of angst after the climax which I also watch with FF button, but I do remember the few final episodes to be heartwarming. I don't have anything to watch now, maybe I should do a rerun LOL. Seo Hyun Jin is great in the way she can makes us love any annoying characters, this is even more apparent now that I am watching Man to Man (and consider dropping it after epi 4) - I just can't relate or like the female lead at all. I can't even explain why because there's nothing wrong with Kim Min Jung's acting at all, she's quite a natural, but why can't I sympathize with her character?? Sorry if I am getting OTT here. I also felt the same way. I stopped watching it at episode 10. I did not like how she blames the pretty HyeYoung for the problems in her life. Somehow, I found her character very annoying. However, I loved her in Teacher Kim. She portrayed her character so beautifully. Looking forward to this drama. Hopefully, the male lead will be finalised soon. She is awesome!!! Oh please accept the role! Yeaaaaaah hope she takes this. I really want to find out who her leading man will be. Sounds interesting! I'd give it a chance just for her. Anyone read the book? Hoping it could be similar to the Tom Hanks/Meg Ryan movie "You've Got Mail" -- leads have a supportive online relationship but a contentious real-life one, without knowing that the online & real person are the same. I hope she turns it down. I love Seo Hyun-jin, but not this scriptwriter. Warm Words was good. Doctors started good, and then started to drag. This fabulous actress deserves better. To me, they saved that drama. I’m positive that Seo Hyun Jin can pull off this writer’s writings too. wasn’t she (Ha Myung Hee) a co-writer in RDTK? SJH? Yes. Doctors and High Society? No. Both shows bored the life out of me, so unless this writers going to do something different this time, I see myself watching the first few episodes before dropping it. I did't watch doctors because I heard it's not that good. And if SHJ will accept this one, I really do hope that the plot is great. Hopefully the storyline will be more interesting than Doctors. That one just sort of petered out. I really like Seo Hyun Jin though! She was great in Another Miss Oh and Let's Eat 2. Cautiously anticipating this one! i will always support casting choices made based on acting ability ??? YES! I'd watch anything with SHJ it has been too long since RDTK T_T But knowing this writer did High Society.... Ugh..... Anyway, her last 3 dramas were actually amazing so I'm trusting her with her choice of script. Hopefully this one will kick it big too ??? Her other dramas also great. Although, King's Daughter Su Baek Hyang was her debut as main lead, she did jackpot in there. Mighty, funny, cheerful, also emotional acting was played perfectly. A must watch for a saeguk drama. In The Three Muskeeters, although she has less screen time but her character and chemistry is unforgettable. She played opposite character to Su Baek Hyang who a brave girl while in TTM she was a coward. I love her, and would love to see her in a rom-com. This was offered to Song Hye-kyo too and was mentioned as being one of the (many) projects Park Bo-gum is considering. I haven't watched Doctors or High Society which are the work of this writer. I wonder if this writer is famous or influential because it seems like all her work did get pretty famous leading actors/actresses. SHJ is my bias and I'm trusting her on her choices of dramas she would be in. I've seen her in OHYA and RTDK and it looks pretty much like she has a good sense of which roles she would choose. My first reaction to this news is that why would she want to do something similar to her biggest success in the past? (OHYA is a rom com melo drama which got her the Baeksang for lead female role) I hope she get to be in something good and interesting again this time. How about Park Hyungsik?! It would be a reunion with High Society writer! I could see them together! Unfortunately I think Park Hae Jin has a full schedule this year! But who knows, the man is on a row! But I haven't heard anything about Park Hyungsik's next project...so hoping/praying he is free for this! Nam Goong Min and Park Hae Jin are buzy for other dramas. Yoon Kye Sang? I wonder why they changed the name. You are right, Nice Soup Does Not Answer the Phone is a very intriguing title. Temperature of Love -- well there's nothing wrong with it, necessarily, but it's just so bland and generic. Especially when compared with what might have been. Seo Hyun-jin? Yes from me! If she picks this one, i will watch it just for her, not for the writer though. Hope she makes a wise choice. I don't know why the writer always add so much difficult lines (long and long and too hard to understand) into every dramas. SHJ in RD is the best role of her. I hope they don't drag this one into 20 eps. 12-16 eps will be good. And anyone know how Korea’s Cultural Tourism Department choose project to put budget? It's too random. From Doctors to My Secret Romance. I am not a fan of both High Society and Doctors but I love slice of life drama. I love her performance in OHYA. So happy to hear her considering a new project. I heard they wanted a young male lead. I remembered PBG denied considering as he wanted to focus on his studies and possibility other projects so I hope they find another good young male lead. Although they are looking for young male lead, I do think PBG is a little too young for her. Same here. I can't imagine her in a noona romance.. Well, i don't know. I just can't. Cautiously interested. High Society was terrible, and Doctors wasn't exactly good, but an easy watch nonetheless. I liked Seo Hyun-jin in Romantic Doctor, although I really didn't like her in Oh Hae Young Again. She's a solid actress with the right material, so hopefully this drama is better than the writer's previous two efforts. Hmmm. On the one hand, we may have the always brilliant Seo Hyun-jin grace our screens again. But on the other hand, this writer, oy. *whispers to SHJ* " Jo Jung-seok is in need of a great leading lady. Go to him right the frack now!" But Han Ji Min confirmed already. ? Can they swap places? ? I like JJS's storyline better too. I wished the same too. ? If i'm not wrong, i even read an article of JJS interview, he being asked about who actress that he want to collaborate. He said "Seo Hyun Jin", he has been watched AOHY, and liked her acting. "She is a friendly and spirit person, it will be fun to play a drama with her"
I'm imagining it right now. And swear, it's a good idea! I hoped to see her in a sageuk/ ocn thriller for next project but then it seems it won't happen this year. Like Jo Jung Seok,I'll watch Seo Hyun Jin in anything. I hope she choose wisely. Based on the initial casting of SHK x PBG and some talks I've seen, it seems like this drama will have a noona romance. If that is true, is my hopeful wish to see either Park Hyung Sik or Yang Se Jong to act alongside her. Haha. I only like the writer's CWGM drama and don't have much faith in her writing but I'll put my trust in Hyun Jin. If she pick this up, maybe the script really has potential. Park Hyungsik! Park Hyungsik! But, I have a feeling he may want to do a movie next, or a darker drama/character. But maybe since he was in High Society, he could consider it out of loyalty. Else, Park Seo Joon! I could see him as a chef! Roaring in the kitchen! No soup for you! Yes to Yang Se Jong! Or can Yeo Jin Goo cancel that other romcom and try for this? Loved her in 3 musketeers. I really wished that drama has season 2. 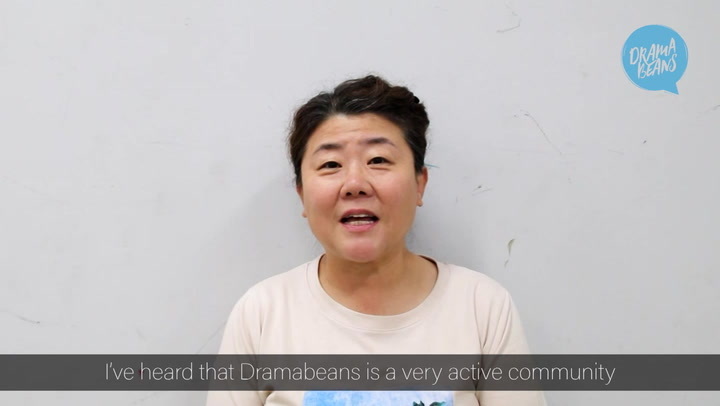 Wow, eonni please come back to dramaland soon! She's already became chef in Feast of The Gods. Can we drag Joo Sang Wook here? JSW is busy with his honeymoon life atm ? Well, is Lee Jehoon up to anything nowadays? Or Lee Sangyoon smh?